I started a post on 11 August 2014 – Where has the time gone? I was under the weather (as they say) for about a month, then here came the Dentist and the 6 month checkup’s and the Austin Quilt Guild Show! WOW. I am so looking forward to next Tuesday (23 September) as I will be through with Doctor visits (not the Dentist yet). At least I will have an opportunity to become BORED? One thing I will not miss is all those wonderful trips to San Antonio and having to rush and leave by 8AM! Reminds me of going to work! The longer I am retired, the less I enjoy having to be somewhere at a certain time. Of course the exception to this rule is when there is a Quilt Show to attend! So let me see if I can remember who I was, where I was and what I have accomplished. 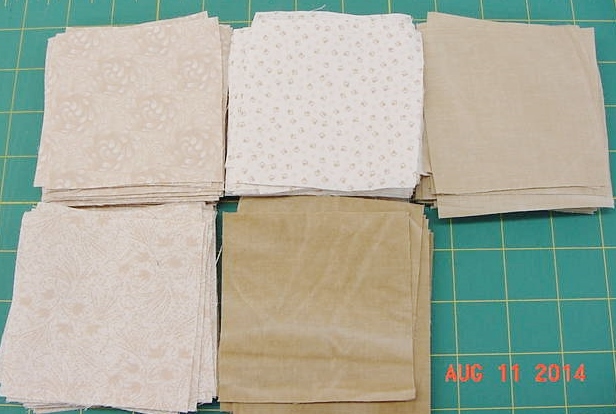 Until I read the draft of 11 August, I did not realize that 5 weeks since I finished putting 230 each – Three Inch (3″) 9 Patches for my Sentimental Scraps. At that time I put all in a box for a later date to finish. I will wait until things have settled down before I put the quilt together as it may end up in a Quilt Show and I do not want to mess it up! I still have quite a few of the 1 1/2″ x 5″ strips left over. Might make a scrappy rail fence – any ideas? 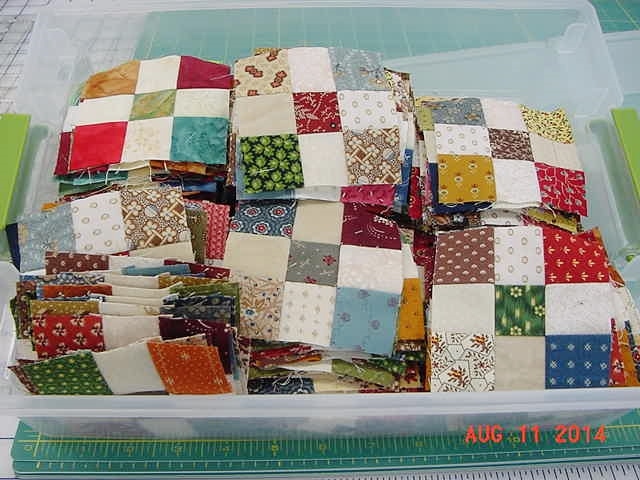 This entry was posted in Uncategorized and tagged Edyta Sitar, Quiltmania. Bookmark the permalink.